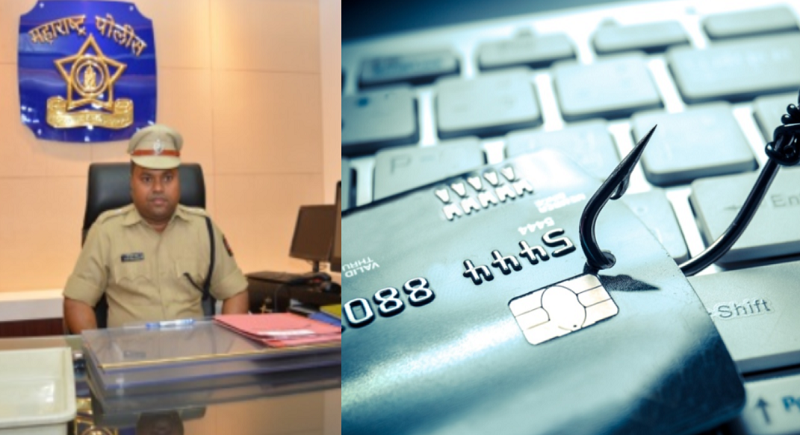 ﻿ News Bharati - Social media users, beware of the phishing texts..! 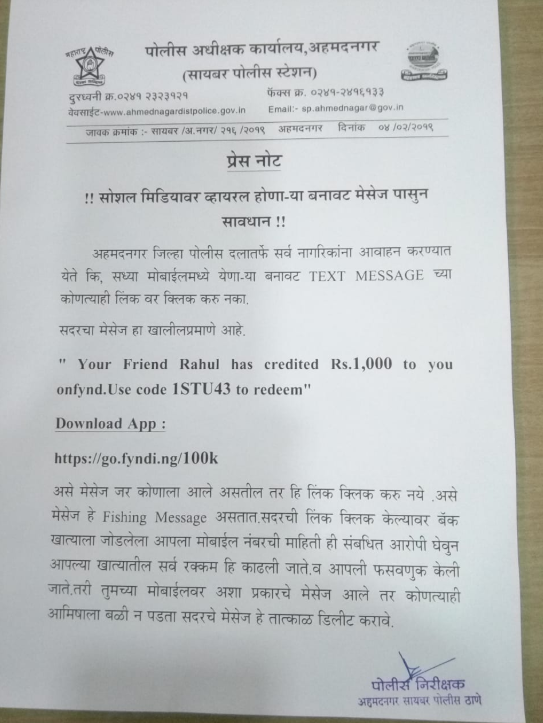 News Bharati - Social media users, beware of the phishing texts..! Ahmednagar, February 6: “Your friend Rahul has credited Rs. 1000 to you onfynd. Use code ISTU43 to redeem”. You definitely must have received this message in you inbox. Go and check, but curb your curiosity to know who Rahul has sent the amount and refuse to open the link read ‘https://go. fyndi.ng/100k’. The Superintendentof Police at Ahmednagar Cyber Cell have issued an official warning urging the masses to avoid these sort of inboxes.